Are you having trouble understanding the differences between converters, battery chargers, and converter/chargers? Well, you are not alone. I am going to go over the differences and similarities between them. In some cases more than one option will work for you, while in others there is a clear choice. 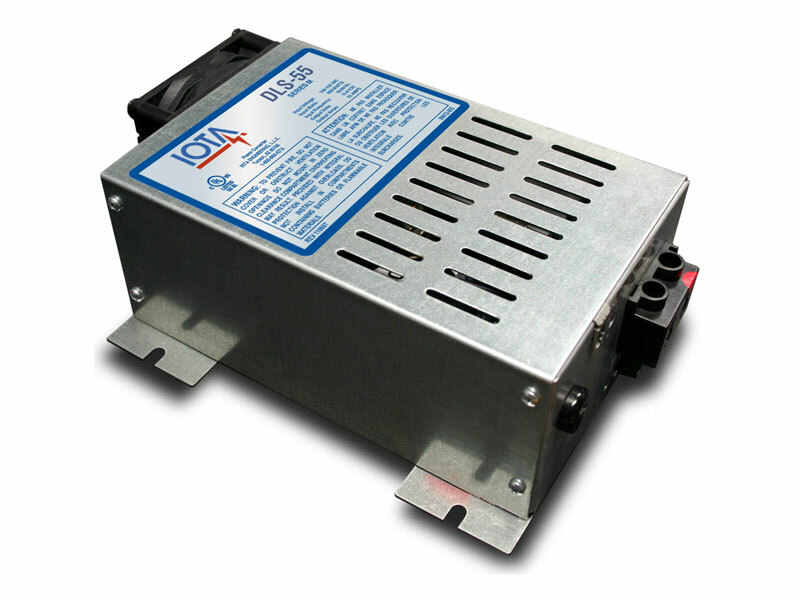 Simply stated, a converter takes AC voltage and converts it to DC voltage. In most RV, marine, and off-grid applications we are going from 120VAC to 12VDC. We need this DC voltage to power various 12VDC devices such as lighting, fans, refrigerators, etc. These 12VDC devices are advantageous because there is less of a power draw compared to their 120VAC counterparts. A standard converter outputs a single voltage, up to its specified amperage rating. For example, 12V converters typically output a flat 13.5VDC. This flat voltage is just enough to sustain your 12V batteries and the DC devices that run off them, but this can be a recipe for shortened battery life. A charger is essentially a converter with a sophisticated multi-stage charging algorithm. During this multi-stage algorithm, the charging voltage and amperage output will vary depending on the state of charge of the battery. Most multi-stage chargers on the market go through three stages. The Bulk stage is the first stage of charging. This stage will output full amperage with increasing voltage until the batteries hit a set voltage threshold. The second stage of charging is Absorption. This stage will output constant voltage with the amperage decreasing until the battery reaches full charge. The Float stage is the final charging stage. This stage is designed to output a constant low voltage at a low amperage. This multi-stage process is crucial to not only fully charge your batteries, but to prevent overcharging. Overcharging or leaving your batteries undercharged is detrimental to the longevity of the battery. A converter/charger is designed to safely and fully recharge your batteries while maintaining your DC loads simultaneously. Not all multi-stage battery chargers are designed to charge a battery that is being drawn from at the same time. This is referred to as a loaded battery. In my research I have found that most multi-stage chargers are converter/chargers, even if not labeled as such. I recommend contacting to the manufacturer of the charger if there is any doubt. Using a charger that is not designed to recharge a loaded battery can damage the battery. A standard converter is applicable in situations where you want to power 12V devices directly, without the use of a battery. These are typically used in certain telecommunication and off-grid applications. If you have an older RV or trailer with a standard converter, it is time upgrade to a converter/charger. A charger is suitable for recharging batteries when not in use, such as recharging your deep-cycle trolling battery for your next trip. A converter/charger is used when you want to maintain your DC loads while recharging your deep-cycle batteries at the same time. This is common in RVs and boats. I hope I was able to provide some insight into chargers, converters, and converter/chargers. The most important consideration is to make sure you are fully informed about what you are purchasing as you want to be sure it is the most appropriate option for your application. Contact us at 800-367-3019 or Patrick@donrowe.com if you have any questions or need assistance picking out what you need for your application.